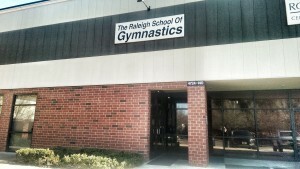 Founded in 1976 by Armand and Anne Kranick, the Raleigh School of Gymnastics has developed into one of the most successful private gymnastics schools in North Carolina. Our school offers gymnasts the opportunity to learn and excel in a fun-filled, positive environment. The Raleigh School of Gymnastics offers a highly competitive team atmosphere supported by a preschool and class program that will advance your child through the levels and prepares them for higher level gymnastics. Our staff works to challenge each child as an individual within a class setting and make it a safe and encouraging experience. In addition to traditional classes, we also offer tumbling classes, private lessons, meet hosting and management, birthday parties, and various camps! Call or email us today for any questions or concerns! Our coaching staff has over 80 years of combined experience. We are passionate about helping your gymnast become the best they can be in all aspects of their lives. Our gym layout provides separate areas for each class to maximize safety. Some other reason that is really important, but we haven't thought of how to word it just yet.